The Compulsive Reader: 10 Things You Might Like to Know About The Moon and More by Sarah Dessen! 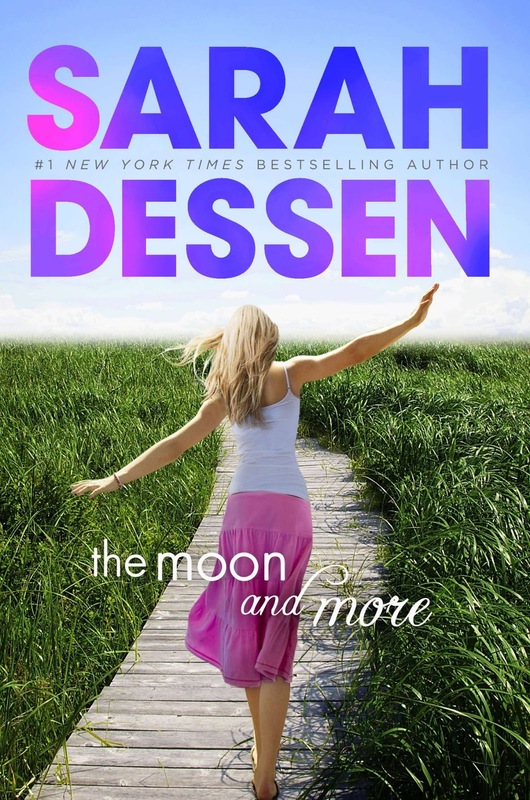 10 Things You Might Like to Know About The Moon and More by Sarah Dessen! There’s no author who says “love” more than Sarah Dessen. And we don’t mean just romantic love (though she’s plenty good at that!). Sarah writes amazing, deep friendships, complex and true familial relationships, and, of course, swoony and wonderful first loves, so who better than Sarah to have a Valentine’s Day blog tour for her upcoming book, The Moon and More? Check with each blog every day for one of the 10 things you might like to know about The Moon and More that Sarah wrote herself. "It’s not a typical love story. Which is not to say there isn’t a love story (or even a couple of them) within it. But I’ve done a lot of the troubled-girl-meets-awesome-boy-and-lives-happily-ever-after over eleven books. I wanted to try a different take on WHAT that ever after (or after ever) really means." "Luke is the perfect boyfriend: handsome, kind, fun. He and Emaline have been together all through high school in Colby, the beach town where they both grew up. But now, in the summer before college, Emaline wonders if perfect is good enough. Sarah Dessen's devoted fans will welcome this story of romance, yearning, and, finally, empowerment. It could only happen in the summer." You can find out more about Sarah’s books on Sarah-Land! Keep up to date with Sarah on Twitter and her website. Want to know more about The Moon and More? Check with these blogs on Sarah’s tour! Keep an eye out for my review soon! Thank you for the post that you shared. It was very interesting. Squee! A new Sarah Dessen book! Always an event! Looking forward to it!